The Velocitek Shift is a new release which removes the GPS function of the Prostart that are illegal for some classes. 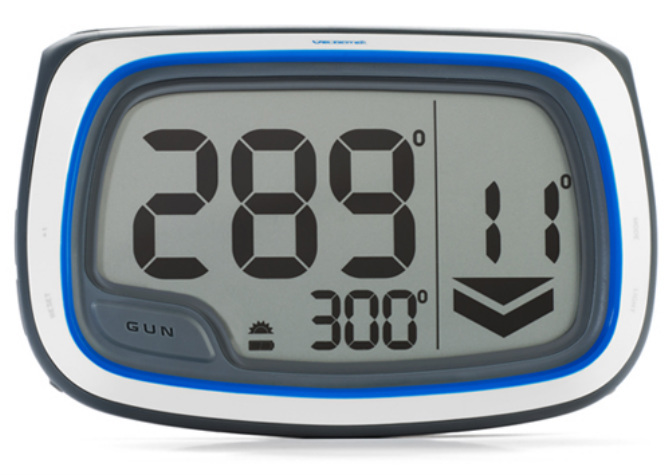 It includes a very large display showing the current heading and a lift/header indicator. At around $700 it’s quite expensive for a limited function but if readability is your issue then it may make sense. Pro: Dedicated buttons make it easy to select functions. Large display. No GPS for races that don’t allow their use. Con: Expensive. No startline functions. Display only orientated in one direction which may make it hard to read if mounted on the mast and you’re hiking from the amas.